The laughter of children is the first sound I hear as I enter the grounds of Terrian Academy. A smile is brought to my face as I see a group of forty students singing songs and playing games with their teacher on the open field in front of their classroom. The walls of each class are decorated with brightly colored homemade posters and pictures, while the desks are filled with children deep in concentration as their teacher passionately provides instruction. After months of renovation, Terrian Academy is now in session! Skeptics of microfinance claim there is no evidence of poverty alleviation beyond the anecdotal, and that although individual lives may benefit, impact on a larger scale is yet to be proven. 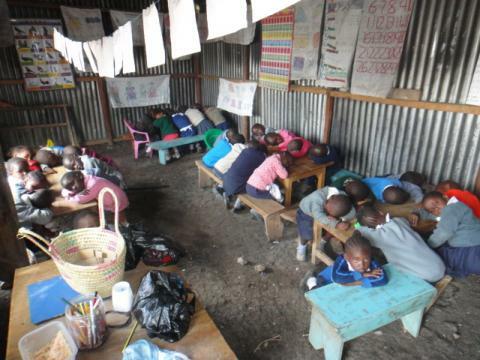 Founder, principal, and teacher of Terrian Academy, Theresia Kabiti provides a sound argument to the contrary, for she has leveraged Zidisha loans to provide educational opportunities to an entire community in the slums of Nairobi, Kenya. The long-term effects of such access are immeasurable, as education is one of the most powerful tools for economic growth. Theresia Kabiti provides a learning environment for those with otherwise little means, offering lower costs and comparable teaching quality to that of private schools in Kenya. Theresia used to enjoy a comfortable job as a well-paid teacher in a private school for privileged children. 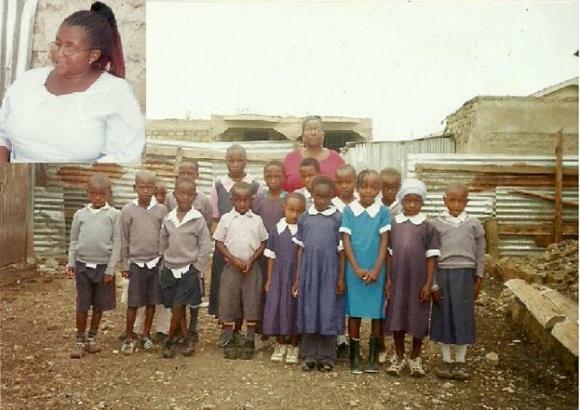 Every morning on her way to work, she would pass by less fortunate children in her own community who were not in school at all because their parents could not afford the fees. Most of these parents worked as laborers on daily wages of just a few dollars per day. Theresia decided to leave her job to start a school to facilitate education among the poor. While the other schools in the area charge over $20 per month, Terrian Academy charges just $6 per month, a cost accessible even to the most budget-constrained households. In the beginning, Theresia had to go door to door to tell people about her school, and her first class had just five students. Soon, though, word spread among the parents in the neighborhood about the affordable new school. Demand grew to the point where Theresia was forced to turn children away due to lack of classroom capacity. I had first visited Theresia as her school was still being constructed. Due to heavy rains in Githunguri, the classrooms of the original Terrian Academy flooded and students were moved to a nearby abandoned building. With her first Zidisha loan of $996, she was able to renovate the school to avoid damage from future flooding, increasing the school’s enrollment to 80 students. 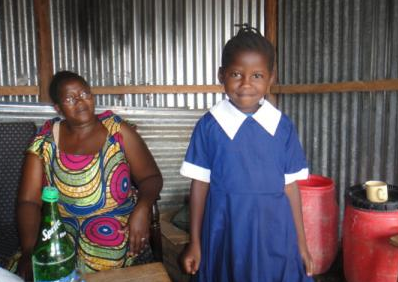 Theresia used her second Zidisha loan to expand her school’s capacity further by adding three classrooms. This allowed her to add classes up to third grade, and increase her student number to 120. 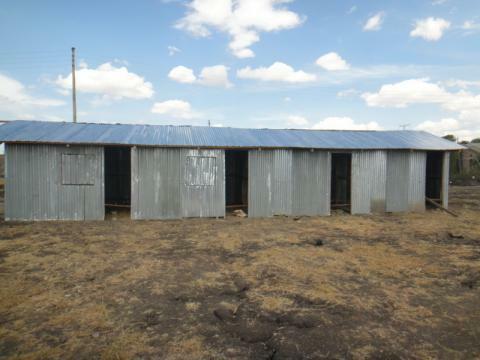 Her third and current loan was used to add windows and doors to the school, and to cement the floors of the classrooms. Theresia’s youngest daughter is a student at Terrian school as well. When I asked her if her daughter gets any preferential treatment by being the principal’s daughter, she laughed and said no. 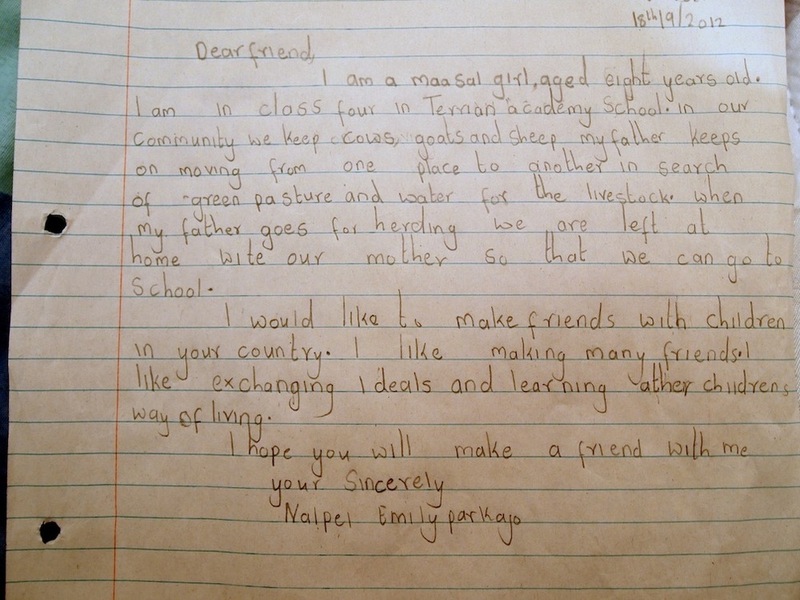 The little girl wants to be an airplane pilot and Theresia hopes to be able, with the help of revenue earned from investments in the school’s growth that will be made possible through Zidisha loans, to afford the high aviation college fees. To learn more, check out Theresia Kabiti’s Zidisha profile page. This article is based on posts by Traci Yoshiyama and Achintya Rai, updated by Julia Kurnia. Posted on April 13, 2014 by Julia Kurnia. This entry was posted in Uncategorized. Bookmark the permalink.